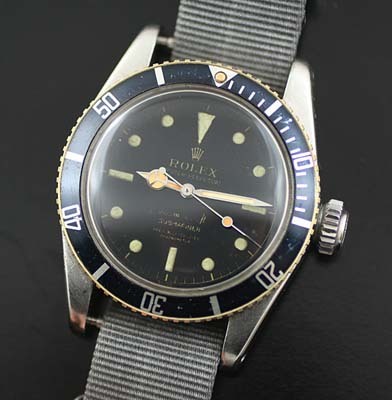 A rare Rolex 6538 big crown vintage Submariner, commonly referred to as the James Bond Submariner. The Rolex Submariner 5510 was the only other Rolex model using the over-sized 8 mm big crown. This watch has a unique service history that may defy logic, but it is what it is. At some point after the owner had the watch serviced at Rolex in 1974, the watch was sent to someone to re-lume the hour markers. It appears the dial was washed and not only the hour luminous dots were removed but also most of the dial text. Most people are not aware of how these vintage dials were made. Once the dial was painted with a black base, the initial text Rolex and the trademark crown were applied and then a layer of lacquer applied over top. The exact model and depth rating was applied on top of the clear lacquer. The part of the text removed was the lower text including Submariner, 200m-66o ft as well as Officially Certified Chronometer. 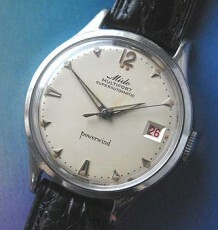 This was eventually reprinted when the dial was re-lumed but has faded. The Rolex text and the Coronet are original to the dial as well as the outer minute track. The hands are all original including the toned luminous and large lollipop luminous dot on the second hand. The case is perhaps the finest I have seen. It is very fat with little to no sign of having ever been polished. There are no dings or corrosion anywhere. The edges have only the slightest softening of the sharp edges seen at the factory. 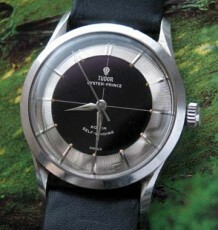 The large 8mm crown is original and screws down tight to the watch. 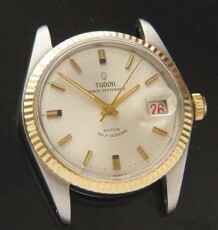 The crystal was changed when I bought the watch by a local Rolex dealer who had the correct domed crystal. 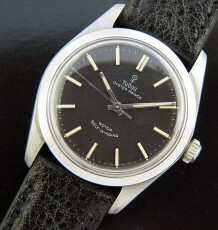 The bezel is the original alloy model with what appears to be a later replacement, but still vintage insert.